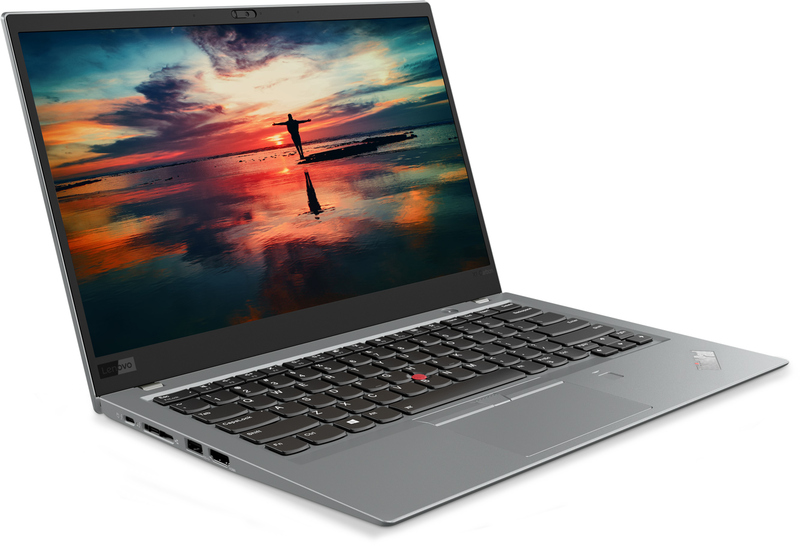 LAS VEGAS, NV — Lenovo today announced its 2018 models of the ThinkPad X1 Carbon and the ThinkPad X1 Yoga notebooks. 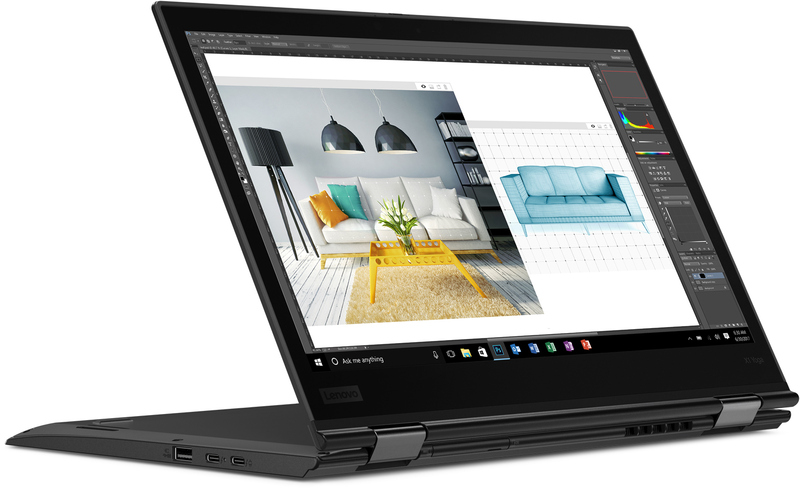 The new premium laptops from Lenovo received three noticeable upgrades this year: they have got quad-core 8th Generation Core i5/i7 CPUs, faster memory, as well as Dolby Vision HDR-supporting displays on premium models. Other new features include things like the optional ThinkShutter webcam cover, the Wake on Voice capability, Amazon Alexa voice assistant and some other. The X1-branded products have always had a very special place in Lenovo’s product lineup. 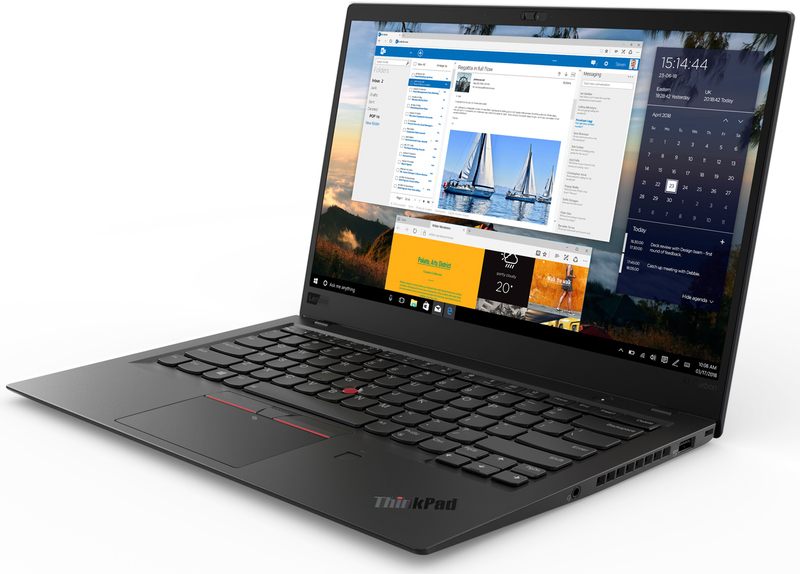 On the one hand, the X1 PCs are the top-of-the-range ThinkPad models that should support all the latest business features and offer decent performance in the thinnest and the lightest form-factor possible. On the other hand, the ThinkPad X1 is the flagship product for Lenovo, so they have to support all the latest and greatest technology in general and create the halo effect for the manufacturer. 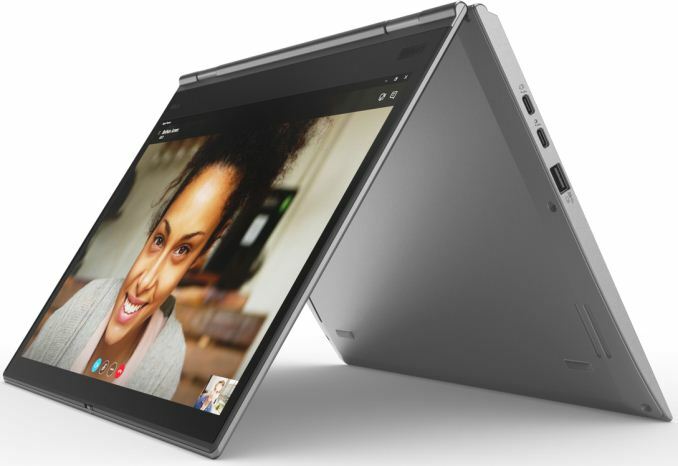 Obviously, integrating beefy technologies into ultra-thin laptops is a challenge, so Lenovo focused on different aspects of their designs in different iterations of their ThinkPad X1-branded products (rather than trying to improve everything at once). For example, the key features of last year’s ThinkPad X1 Carbon 5th Gen were its 14” display fir into a regular 13.3” chassis as well as a massive 15-hour battery life. Meanwhile, the ThinkPad X1 Yoga 2nd Gen was all about refinements to design and performance of the first gen launched a year before. This year’s ThinkPad X1 Carbon 6th Gen and ThinkPad X1 Yoga 3rd Gen are not thinner or lighter than last year’s models. In fact, they have very similar chassis with their respective predecessors in general. 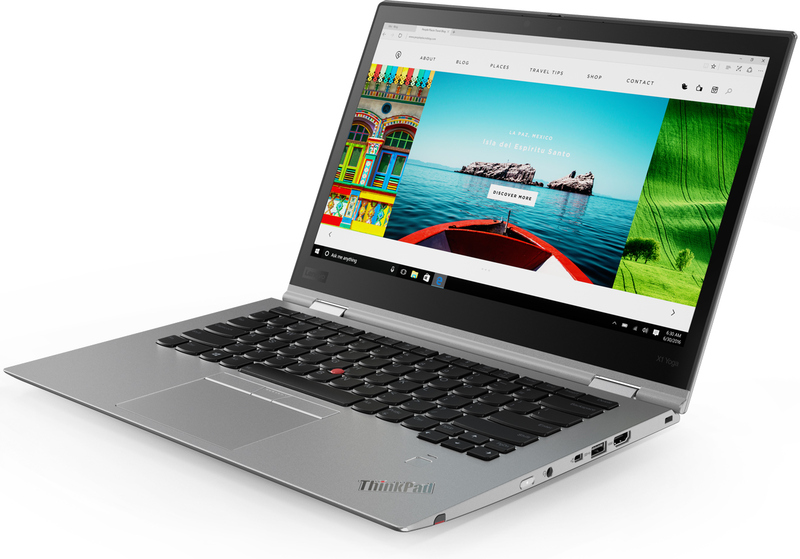 When compared to 2017 models aesthetically, the new units feature blacked out logotypes, black hinges (X1C only), ThinkShutter cover (select SKUs), a slightly different placement of TB3 and Ethernet ports on the X1C as well as fewer USB-A headers on the X1Y. Meanwhile, refinements of the new ThinkPad X1 Carbon and the ThinkPad X1 Yoga are all about higher performance due to Intel’s quad-core 8th Generation Core i5/i7 CPUs and faster LPDDR3-2166 memory, software features like Wake on Voice and Alexa, as well as new premium 1440p displays with the Dolby Vision badge on select SKUs. At this time Lenovo decided not to offer new ThinkPad X1 models with integrated 802.11ad (WiGig) enabled by Intel’s Tri-Band Wireless-AC controllers, whereas the ThinkPad X1 Yoga 3rd Gen will not offer SKUs with Intel’s Iris Plus iGPU as well as OLED displays. Now, let’s talk about the new models in more detail. As reported above, the new ThinkPad X1 Carbon borrowed its chassis from its predecessor: it is 15.95 mm (0.62”) thick and it it weighs around 1.13 kilograms (2.49 lbs). Traditionally, the ThinkPad X1 Carbon is developed to withstand spilled drinks, drops and hits, the chassis design has passed over 200 durability tests, so you can expect it to be rather rugged. Inside the ThinkPad X1 Carbon 6th Gen are Intel’s quad-core Core i5/i7 CPU with built-in UHD Graphics 620, up to 16 GB of LPDDR3-2133 memory, as well as an SSD with up to 1 TB capacity. The new systems are outfitted with an Intel Dual Band Wireless-AC + Bluetooth 4.2 controller, two Thunderbolt 3 ports (one can be used for charging, it is USB PD 3.0 compatible), two USB 3.0 headers, one docking connector for a native GbE, an HDMI output, a micro SD card reader, a TRRS audio jack for headsets, and a 720p webcam that now has the ThinkShutter. Select models will also feature the Fibocom L850-GL LTE-A modem for global mobile connectivity as well as an IR camera with Windows Hello support (but without the ThinkShutter). Moving on to display options. The premium version of the ThinkPad X1 Carbon 6th Gen laptops will come equipped with 14” WQHD (2560×1440) IPS displays carrying the Dolby Vision badge and will support the respective HDR technology (more on this later). Lenovo does not detail its DV-supporting panels just yet, but says that laptops featuring such displays can work for 12 hours on one charge. “Basic” X1 Carbon laptops will keep their 14” FHD (1920×1080) IPS panels and such PCs are speced for up to 15 hours of battery life on MobileMark 2014. Due to popular demand, select ThinkPad X1 Carbon will come with touchscreens, but there is no official information about their resolution (I suspect, both FHD and WQHD options will be offered, but this is a speculation). 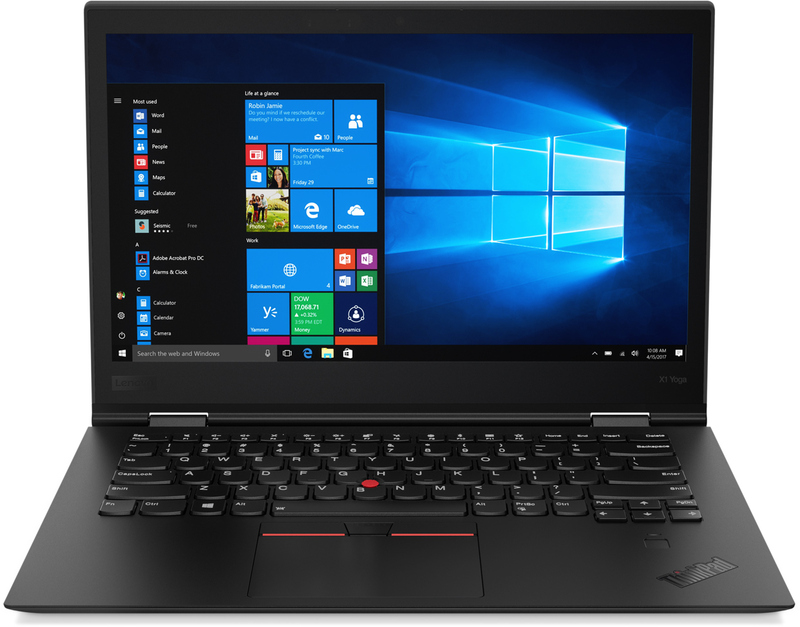 Lenovo plans to begin sales of the ThinkPad X1 Cabron 6th Gen later this month. The systems will start at $1709, black and metallic finishes will be available. The third iteration of the ThinkPad X1 Yoga convertible looks and feels almost exactly as its predecessor: it is 17.05 mm (0.6”) thick and its weighs starting from 1.4 kilograms (3.08 lbs). The chassis remained the same as before (plus ThinkShutter cover, minus one USB port): we are dealing with a hardened design meant to withstand bumps and kicks of life and featuring Lenovo’s “rise and fall” keyboard that recesses and locks the keys when in tablet mode. The innards of the ThinkPad X1 Yoga are pretty much similar to the hardware used for the ThinkPad X1 Carbon — Intel’s quad-core Core i5/i7 processors with integrated UHD Graphics 620, up to 16 GB of LPDDR3-2133 memory, up to 1 TB SSD. Since Intel has not released an 8th Generation Core i5/i7 processors with GT3-class graphics, Lenovo will not be offering a version of the new ThinkPad X1 Yoga with the Iris Plus 640 GPU and customers seeking for higher-performance graphics on an X1Y will have to get last year’s model instead. Of course, this option means sticking to a dual-core CPU, which is not exactly a good thing for many reasons. Connectivity of the X1Y is similar to the X1C: two TB3 ports, USB 3.0 Type-A headers, HDMI, Wi-Fi, optional LTE-A modem and so on. As for display options, there will be two of them. Premium versions of the convertible will be equipped with the same 14” WQHD (2560×1440) IPS touchscreens carrying the Dolby Vision badge as the premium flavours of the X1C. Basic versions will come with 14” FHD (1920×1080) IPS panels and will offer a greater battery life. Lenovo deprecated the OLED display option, which might be an indicator that the new IPS LCD can do the job rather well. 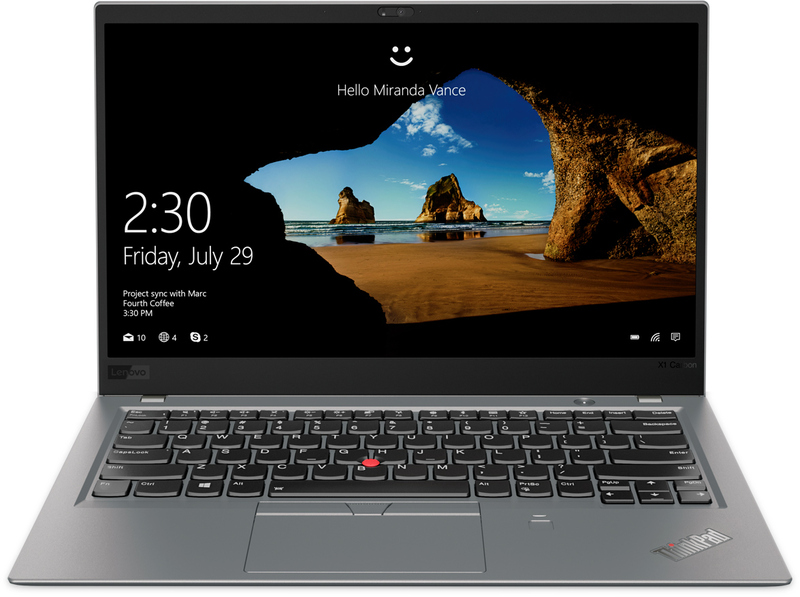 The new ThinkPad X1 Yoga 3rd Gen convertible notebooks will hit the market this month at prices starting from $1889. CPU Intel's 8th Generation Core i5/i7 processors with four cores. Other I/O Microphone, stereo speakers, audio jack, Utranav, trackpad, card reader, etc. 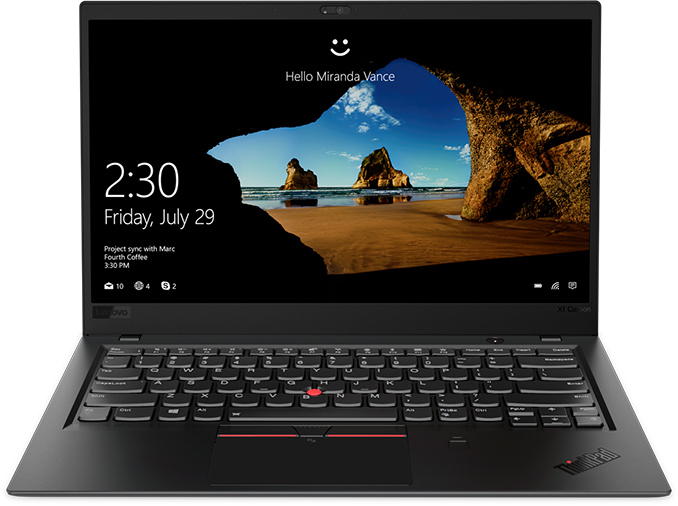 If you put aside the quad-core CPU, faster LPDDR3-2166 memory, Alexa, Wake on Voice and some other features, the key improvement of the new ThinkPad X1 Carbon and the ThinkPad X1 Yoga notebooks is their premium display panel option that supports the Dolby Vision HDR capability. 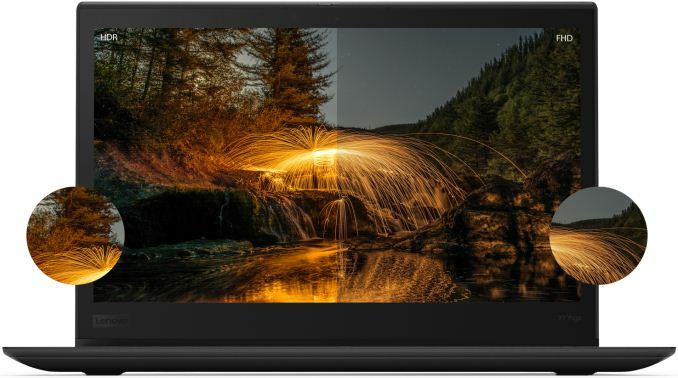 Dolby Vision content is currently available from Amazon Prime Video, Netflix and Vudu in the U.S., so owners of 2018 ThinkPad X1 Carbon and ThinkPad X1 Yoga will be able to enjoy it (but it is unclear whether only on the built-in display, or on external too). Regrettably, Lenovo does not disclose almost anything about the new displays, so let’s recap what the technology is about in a bid to understand what we can expect from them. The Dolby Vision HDR tech in general is considerably more sophisticated than the widespread HDR10 spec. As opposed to HDR10’s static metadata, Dolby Vision supports dynamic HDR metadata that can change from frame to frame and ensure that they are portrayed as accurately as possible (it also supports static metadata). Dolby Vision specification also supports 12-bit color depth and a color gamut close to the Rec 2020 standard (but for broadcast purposes 10-bit color depth is recommended due to bandwidth concerns). Dolby requires all Dolby Vision content to be mastered using displays with at least 1000 nits brightness and supporting the DCI P3 color space. Meanwhile, it does not look like the company has any requirements for typical brightness or color spectrum of PC displays. Ideally, a display supporting the Dolby Vision technology should feature a high brightness (at least 500 nits, preferably higher), a high contrast ratio and a larger-than-sRGB color gamut. Since Lenovo does not quantify anything at this time, the only thing logical to expect from the new displays is higher-than-350-nits brightness along with color spectrum that surpasses the sRGB. Meanwhile, since the new ThinkPads will use Windows, they will be tied to the sRGB spectrum (at least before Windows gets proper support for P3). Yeah this CES is generally being a big middle finger for Ryzen Mobile. Here, a 2700U should make perfect sense for those wanting quad-core and Iris Pro performance. "Lenovo plans to begin sales of the ThinkPad X1 Cabron 6th Gen later this month."